David Tennant will soon be recording a guest appearance on the BBC1 panel show Room 101 hosted by Frank Skinner. The long-running comedy moan-fest sees stars try to get their pet peeves banished to Room 101 forever - the title is of course a reference to the room of horrors created by George Orwell in 1984. Each episode sees host Frank encourage three celebrities to reveal what rubs them up the wrong way, and he chooses the most deserving to be eliminated forever. The other two guests appearing alongside David are veteran broadcaster Sir Trevor McDonald and Irish actress and comedian Aisling Bea. David records his episode on Tuesday 27th October at Elstree Studios in Hertfordshire and the ballot for free tickets is currently open. Broadcast date is to be confirmed. 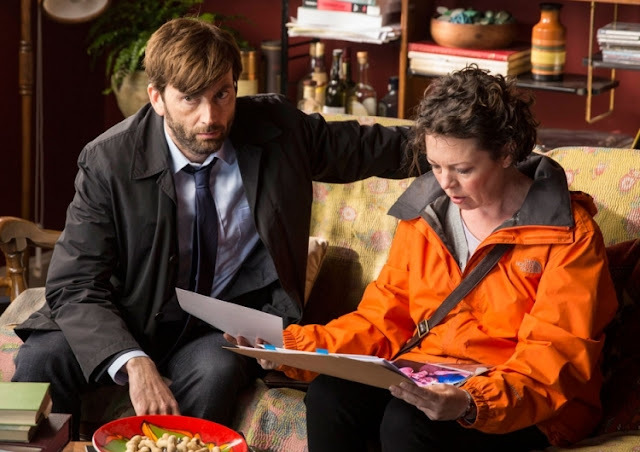 Following France 2's announcement that they are to remake the UK series Broadchurch as Malaterra, another of David Tennant's recent dramas will also soon be remade for French TV. This time, the legal thriller The Escape Artist gets the Gallic treatment after the rights to the drama were snapped up by Makever-owned company Vema Production and commissioned by TF1. The 2013 BBC One series, created by Spooks writer David Wolstencroft, followed a highly skilled defence barrister with a reputation for securing release for even the most hopeless cases. However, his life changes forever when he takes on the defence of the suspect in a brutal murder charge. The original three-part drama also starred Toby Kebbell and Sophie Okonedo, and David Tennant received the BAFTA Scotland Best Actor award for his performance. 2015 marks ten years since Doctor Who returned to our TV screens, and that also means ten years of Christmas Specials. To celebrate, the BBC is releasing Doctor Who: Christmas Specials a box set of all of the Doctor's yuletide adventures to date, starting with David Tennant's first full appearance in the role in The Christmas Invasion (2005), leading up to Peter Capaldi's first festive adventure, Last Christmas (2014). The specials star David Tennant, Matt Smith and Peter Capaldi as the Tenth, Eleventh and Twelfth Doctors respectively, alongside a whole host of guest stars, including Catherine Tate, Kylie Minogue, David Morrissey, Michael Gambon, Katherine Jenkins and Nick Frost. 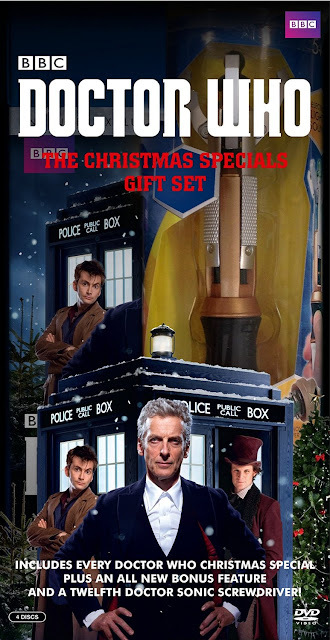 Doctor Who: Christmas Specials will be available as a Region 1 3-disc Blu-Ray set or 4-disc DVD set from Tuesday 24th November in the USA. Titan Comics launches the second year of ongoing adventures with the Tenth Doctor with the release of Issue #2.1, available in comic stores and online from today. The new story arc offers the ideal jumping on point for new readers and this year Titan promise 14 issues a year, including one double issue special, appearing every four weeks. 2015 marks ten years since Doctor Who returned to our TV screens, and that also means ten years of Christmas Specials. To celebrate, the BBC is releasing The 10 Christmas Specials, a box set of all of the Doctor's yuletide adventures to date, starting with David Tennant's first full appearance in the role in The Christmas Invasion (2005), leading up to Peter Capaldi's first festive adventure, Last Christmas (2014). The specials star David Tennant, Matt Smith and Peter Capaldi as the Tenth, Eleventh and Twelfth Doctors respectively, alongside a whole host of guest stars, including Catherine Tate, Kylie Minogue, David Morrissey, Michael Gambon, Katherine Jenkins and Nick Frost. 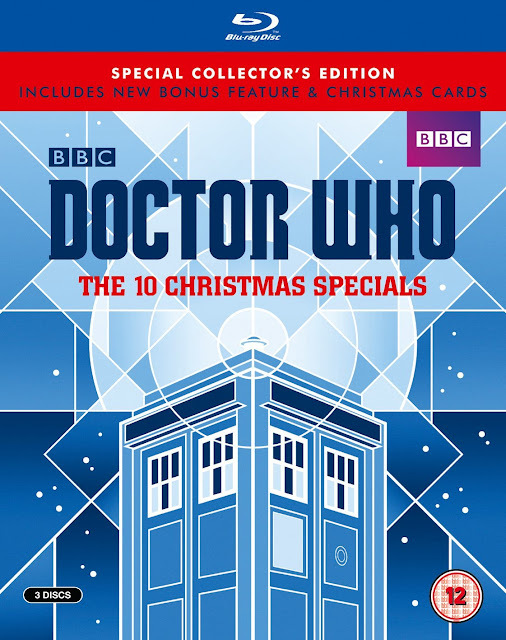 The 10 Christmas Specials will be available as a Region 2 3-disc Blu-Ray set or 4-disc DVD set from Monday 26th October in the UK. 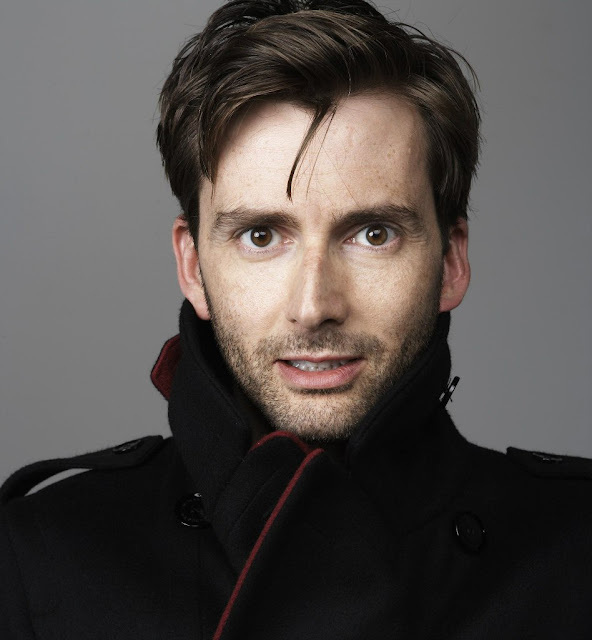 David Tennant has lent his vocals to a stunning new ad campaign from The Scotsman newspaper. Today sees the launch of their new look print issue and an online presence which sees them launch four new channels. A new Doctor Who book, Doctor Who: The Time Lord Letters, is released in the USA today. 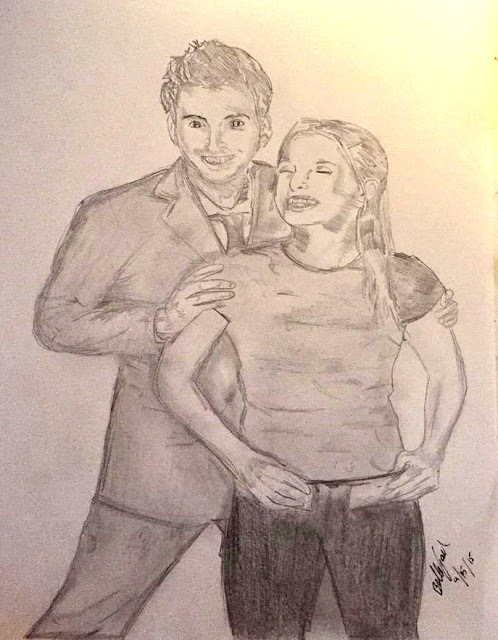 No one could travel through history – past present and future – as much as the Doctor does without leaving an impression. Much of what we know about this mysterious figure comes from what he does – the planets he saves and the monsters he defeats. But until now we’ve had little knowledge of his writings. 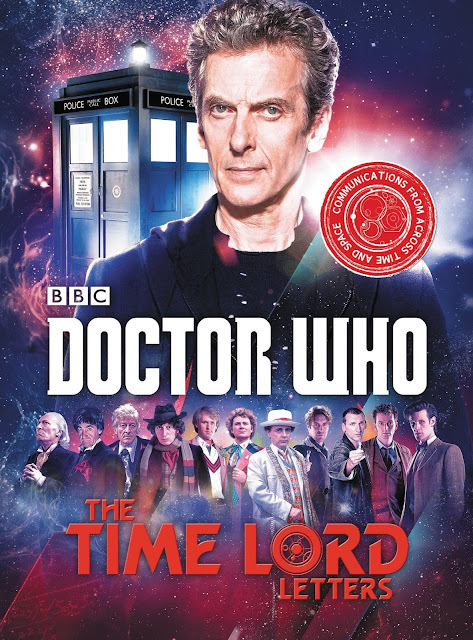 The Time Lord Letters is a unique collection of over one hundred letters, notes, and jottings both by and to the Doctor – correspondence by turns entertaining and inspiring, funny and flippant, brilliant and incredible. CLICK HERE TO BUY LEGO DIMENSIONS STARTER PACK ONLINE! The world of Doctor Who is set to collide with the multi-universe mash up video game LEGO Dimensions. The game includes characters from the LEGO movie, Lord Of The Rings, DC Comics, The Simpsons and Back To the Future joining forces to battle an invader. Players will also be able to play as past regenerations of the Doctor - including David Tennant's Tenth Doctor (above) in a special Doctor Who mission available through the Doctor Who Level Pack. 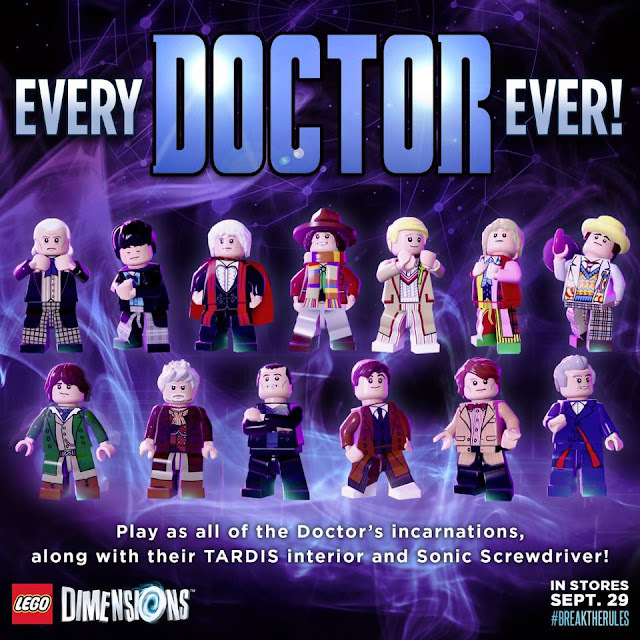 Peter Capaldi, Jenna Coleman and Michelle Gomez will be voicing the characters of The Doctor, Clara and Missy in the LEGO Dimensions starter pack. 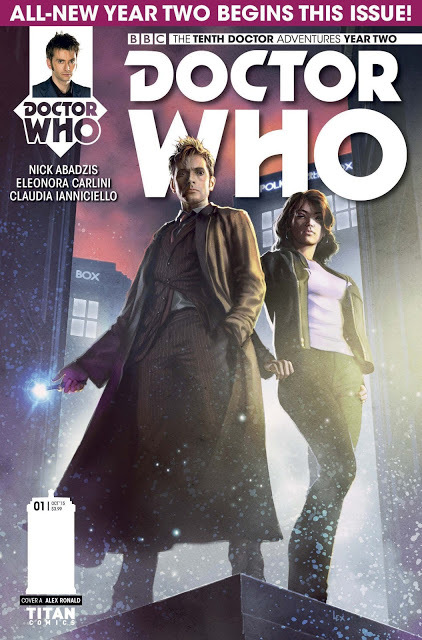 Titan Comics launches the second year of ongoing adventures with the Tenth Doctor. Issue #2.1 will be available in comic stores and online this Wednesday, 30th September. This year Nick Abadzis steps up as sole writer with artwork by Eleonora Carlini alternating with Elena Casagrande. The Doctor and Gabby's adventures pick up from the events of the Year 1 finale and the recent five issue multi-Doctor summer special, Doctor Who: Four Doctors. The new story arc offers the ideal jumping on point for new readers and this year Titan promise 14 issues a year, including one double issue special, appearing every four weeks. Season 4 of Teenage Mutant Ninja Turtles will have its American premiere on Sunday 25th October on Nickelodeon according to the show's official Twitter account (UPDATE - now confirmed during the TMNT panel at New York Comic Con). Following the emotional and earth-shattering finale of Season 3 on Sunday, the four amphibious heroes found themselves pulled back from the brink of certain death by the timely appearance of the Fugitoid, a fugitive android who rescued them in his spaceship. 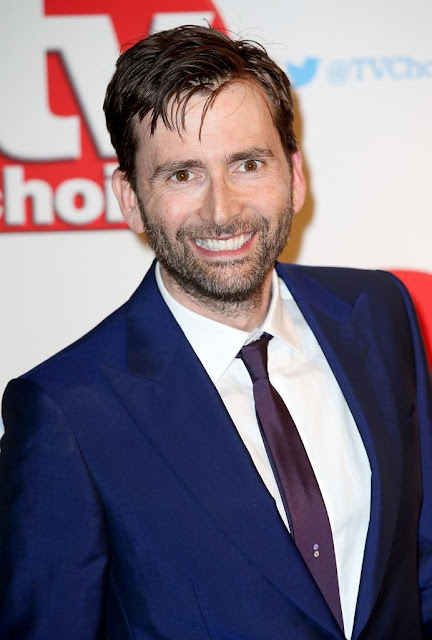 David Tennant is set to guest star in a thirteen-episode story arc through the new season, voicing the fan-favourite comic book character, formerly the scientist Professor Zayton Honeycutt, whose mind became trapped inside the android when his own body was destroyed. 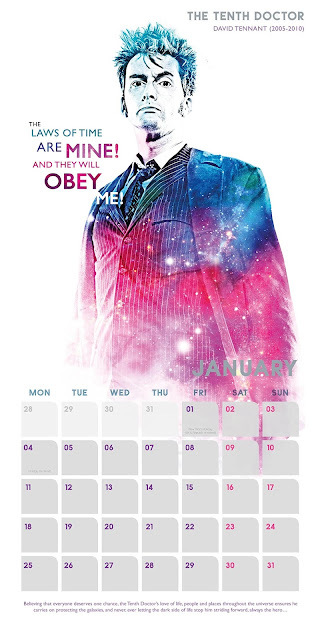 Featuring all the classic Doctors, this 2016 special collector's edition of the Doctor Who Calendar has a unique look and is a must-have for any true Whovian. Actress Jane Lapotaire has confirmed that she will reprise her much acclaimed role as the Duchess of Gloucester when the Royal Shakespeare Company's staging of Richard II returns to London's Barbican Theatre early next year. The production, directed by Gregory Doran and starring David Tennant in the lead role, makes up part of the 4-play King & Country Cycle and will be revived for just nine performances, with single performances from January 7th 2016 and in cycle from 12th January. Jane will also be performing as Queen Isobel of France in Henry V which transfers from Stratford-upon-Avon to the Barbican from 7th November. In conversation with The Arts Desk, Jane, who only returned to the RSC stage in 2013 following a major brain haemorrhage in 2000, said of her roles, "I'm back home, where I belong! And not just at the RSC but with Greg! 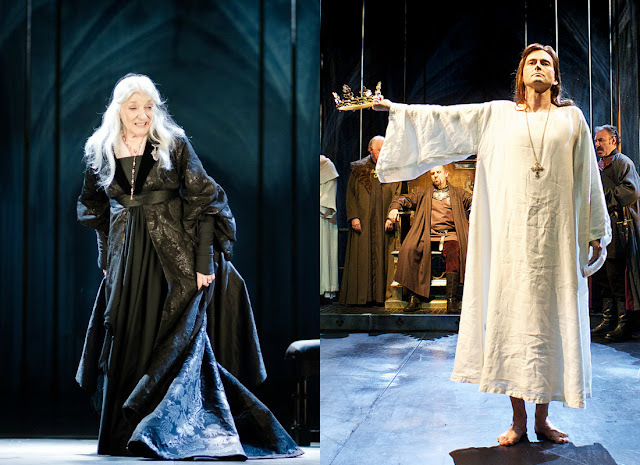 He's the best artistic director the RSC has ever had...Greg has given me my life back." Titan have unveiled their exclusive Tenth Doctor figurine for New York Comic Con 2015 will be this 4.5 inch Time Crash design featuring David Tennant in the Doctor's 'brainy specs' blue pinstripe suit and maroon shirt. Titan will have a number of other exclusives including this Eleventh Doctor 'Kings Arms' football kit figurine and a Sherlock set. If you're attending then why not go and say hi to the Titan team at Booth 2142! New York Comic Con takes place 8-11 October 2015 at New York's Javits Centre. David Tennant will be attending the convention on Saturday 10th October to take part in the panel for his new Netflix Originals series Marvel's Jessica Jones. 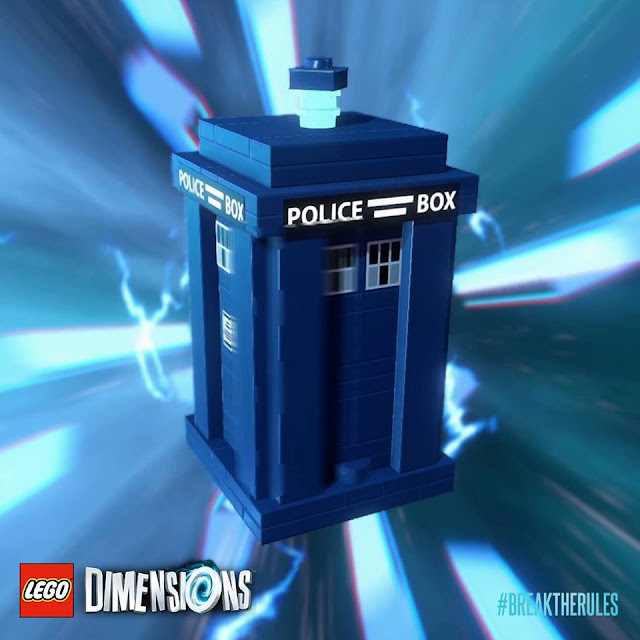 USA: LEGO Dimensions Featuring Doctor Who OUT NOW! Nickelodeon draws an epic conclusion to the third season of Teenage Mutant Ninja Turtles with a one-hour finale Sunday, Sept. 27, at 11:00 a.m.(ET/PT). In the special episode, “Annihilation: Earth! – Part 1 and 2,” when the Turtles get word of the Kraang’s return, they realize there is an even bigger threat coming to Earth! 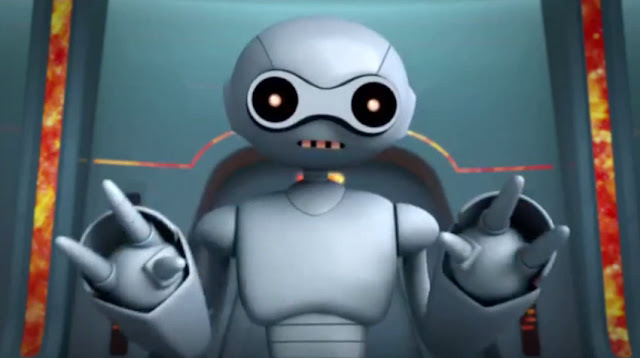 David Tennant (Doctor Who) also makes his debut appearance as The Fugitoid, a former alien scientist named Dr. Honeycutt, whose brain is saved and placed into the body of a robot when his body gets destroyed. The second episode of season 2 of British crime drama Broadchurch premieres tonight on MTV3 in Finland. 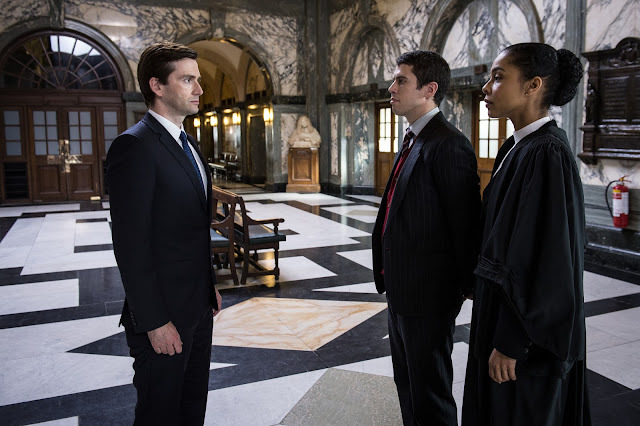 The new season sees the return of David Tennant and Oivia Colman as police detectives Alec Hardy and Ellie Miller. Eve Myles, Arthur Darvill, Charlotte Rampling and Marianne Jean-Baptiste also star. In tonight's episode Alec confronts Lee Ashworth over events in Sandbrook and arranges a risky meeting between Lee and Claire. At the trial of Danny's killer, Ellie's assault on the accused is revealed and has serious consequences. Meanwhile the Reverend Paul Coates and Mark Latimer are both meeting people in secret. Watch Broadchurch tonight on MTV3 at 21.00. The award-winning BBC comedy series W1A comes to BBC First in Australia from Monday 5th October. 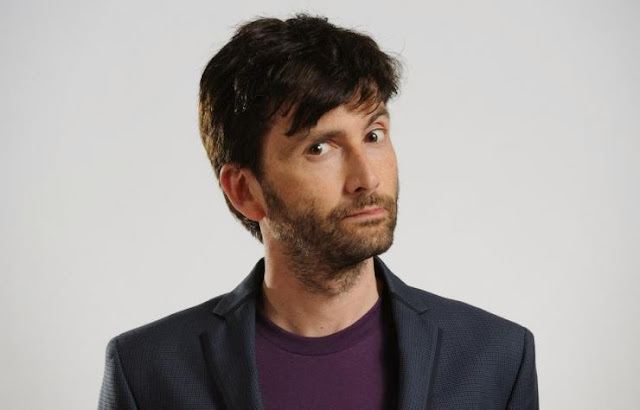 David Tennant narrates the spoof documentary series created by John Morton as a follow up to his acclaimed series Twenty Twelve. The series sees Hugh Bonneville and Jessica Hynes reprise their performances as Ian Fletcher and Siobhan Sharpe as the characters move on to face new challenges in their respective careers following the completion of the London Olympics in 2012. David Tennant makes his first guest appearance in the season 3 finale of Teenage Mutant Ninja Turtles premiering on YTV in Canada on Saturday October 3rd from 11.00am ET/PT. 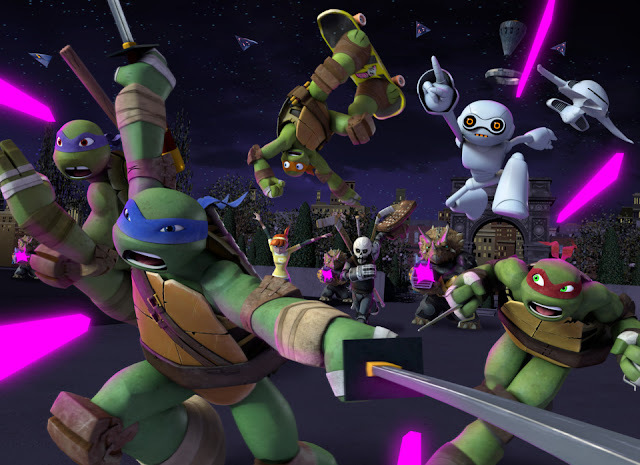 YTV draws an epic conclusion to the third season of Teenage Mutant Ninja Turtles with a one-hour finale on Saturday 3rd October at 11:00am (ET/PT). In the special double episode, Annihilation: Earth! – Part 1 & 2, when the Turtles get word of the Kraang’s return, they realize there is an even bigger threat coming to Earth! 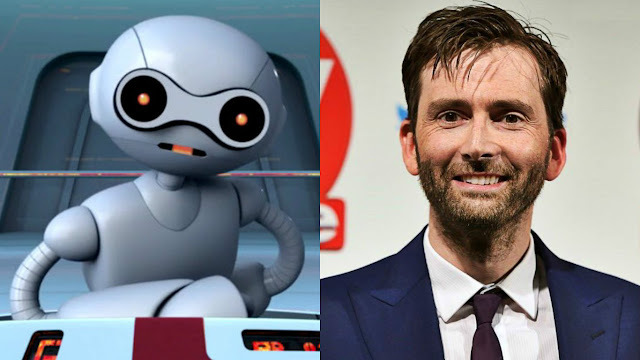 David Tennant also makes his debut appearance as The Fugitoid, a former alien scientist named Dr. Honeycutt, whose brain is saved and placed into the body of a robot when his body gets destroyed. The first official footage from Marvel's Jessica Jones has been released in a sneak peek video clip on the show's official Spanish Facebook page. Marvel's Jessica Jones will premiere across the globe on 20 November exclusively on Netflix. The series follows the former superhero who is rebuilding her life as a private detective after a tragic incident led her to hang up her cape. However, a dark figure from her past is about to return, sending shockwaves through her world. The series, said to be a dark psychological thriller, is adapted by showrunner Melissa Rosenberg from the Marvel MAX comic book series Alias, created by Brian Michael Bendis. 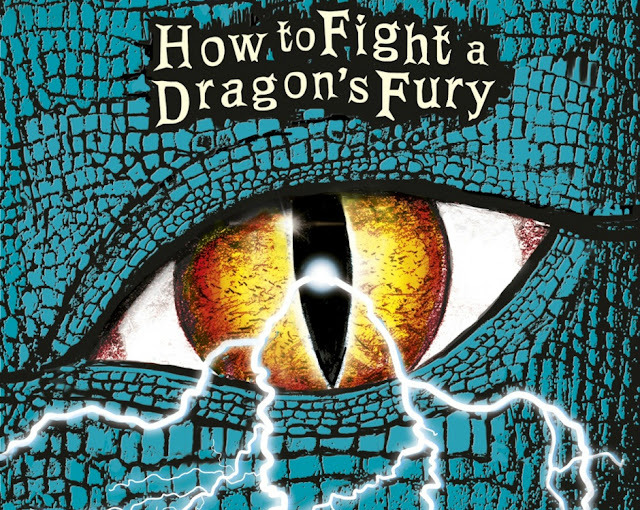 How To Train Your Dragon author, Cressida Cowell, has paid tribute to David Tennant in the final book of her outstandingly popular Hiccup series, How To Fight A Dragon's Fury. David who has narrated all of the books gets a special mention in the final pages of the book. He has, of course, been the many voices behind the characters Cressida created in the series of audio books bringing the Viking world of the heroic Hiccup Horrendous Haddock III and his friends, foes and family to vibrant life. David has already recorded this final installment and fans in the UK can pre order the audio CD online here, ahead of its release on 3rd November. USA fans will see the release on 26th January and can pre order here. 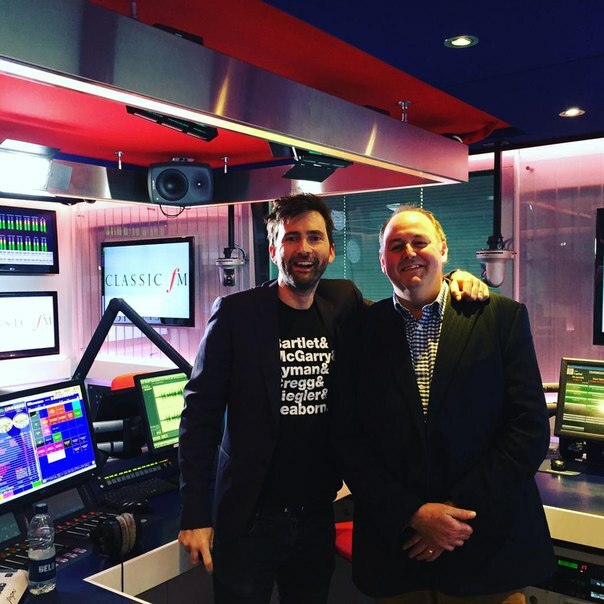 This morning it was announced on Classic FM that David Tennant is the narrator of their charity audio play, Upstairs Downland Abbey, a comedy whodunnit which is "one part Poirot, one part Downton Abbey and all parts farce". It's all in aid of Classic FM's charity Global's Make Some Noise which, on the 8th October, joins forces with radio stations across the UK to raise money for disadvantaged children & young people. David will be joined by a host of familiar names from Classic FM including actor Alexander Armstrong, TV stars Myleene Klass and Aled Jones and former Blur guitarist Alex James. Tee Public have some seriously cool Doctor Who designs on offer until Monday 28 September for just $14 / £9 each They ship worldwide from the USA and there's a wide range of hoodies, tanks, kids sizes and posters also available!! Click here to buy one of the above designs! Companion Tees have the following 4 fun designs on offer until Monday 28 September for just $15 / £10 each. The designs are also featured on a series of other merchandise including vests, hoodies, mouse mats, coasters and phone covers which fit all iPhones, as well as the Samsung S3, S4, and S5! They ship worldwide. Whovian Shirts present a collection of awesome designs on offer until Wednesday 30 September. They cost just $10 for black and white and $14 for coloured or glow in the dark designs. Ships worldwide from the USA. The BBC Films feature What We Did On Our Holiday goes on theatrical release in Taiwan on Friday 25th September under the title 這個夏天的秘密 (This Summer's Secret). The black comedy is written and directed by Guy Jenkin and Andy Hamilton, the award-winning team behind the BBC sitcom Outnumbered. David Tennant and Rosamund Pike star as husband and wife Doug and Abi whose marriage is on the brink of divorce. Nevertheless, the temporarily put their differences aside to make a trip to Scotland with their kids to celebrate the birthday of Doug's father Gordie, played by Billy Connolly. As Gordie has been unwell, they are keen to keep their split a secret, but before long their three lively children are revealing all to the rest of the family. Comedy stars Ben Miller and Amelia Bullmore also appear in this bittersweet movie that explores the comic side of family life. This week's Throwback Thursday revisits last year's world premiere of What We Did On Our Holiday. A year ago this week, What We Did On Our Holiday premiered at the Odeon West End Leicester Square. 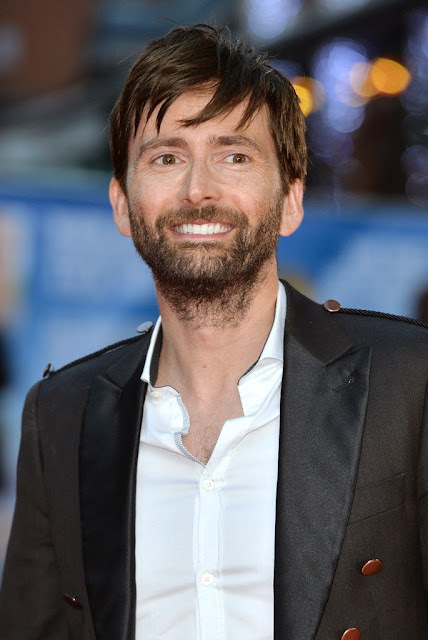 The event was attended by the stars of the film, including David Tennant, Rosamund Pike and Billy Connolly and young actors Emilia Jones, Bobby Smalldridge and Harriet Turnbull, plus the writing and directing team of Guy Jenkin and Andy Hamilton. The film was released nationwide on Friday 26th September 2014. What We Did On Our Holiday A hilarious journey through an unforgettable family holiday as a couple attempts to keep their impending divorce secret from their extended family. 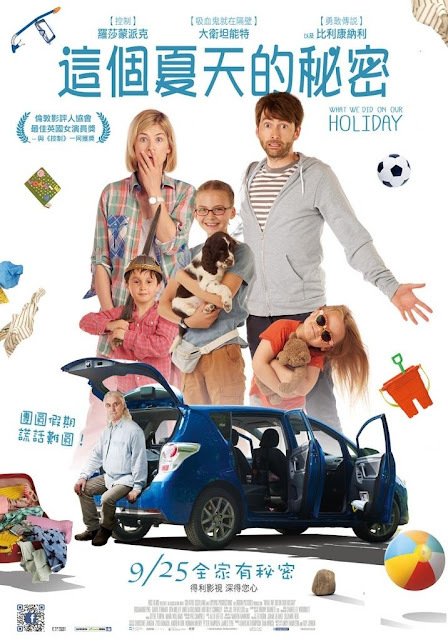 Doug (David Tennant) and Abi (Rosamund Pike) and their three children travel to the Scottish Highlands for Doug’s father Gordie’s (Billy Connolly) birthday party, where it’s soon clear that when it comes to keeping their secret under wraps their children are their biggest liability.